MicroLaserPeel (weekend Peel): The minimally invasive method, the perfect step between dermatological and resurfacing. With Sciton’s Contour 2940nm warranty, it has very good results in removing spots and scars for a more youthful-shining skin on your face. The “weekend peeling” that is very popular abroad. 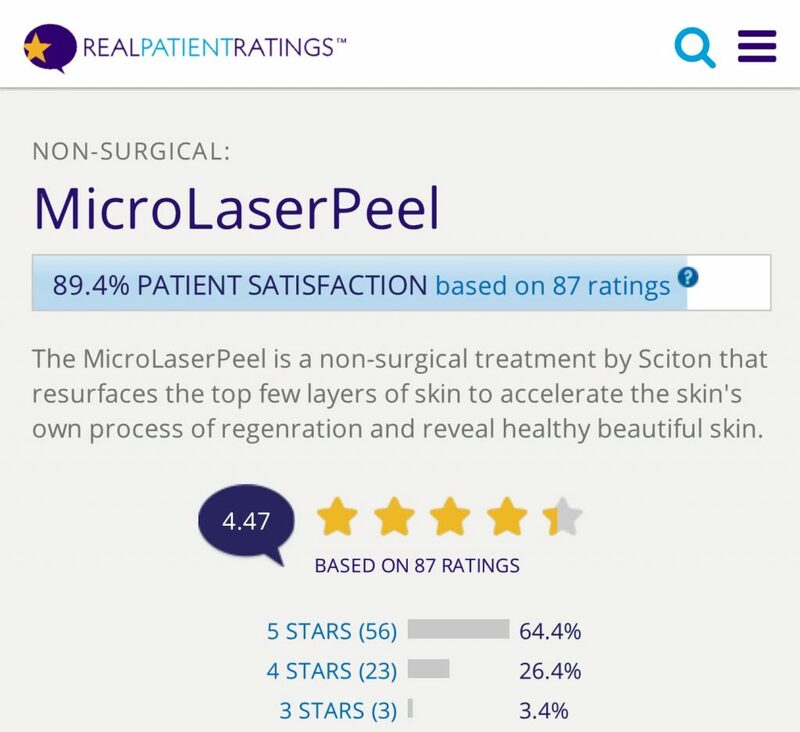 87% of people who have made MicrolaserPeel are happy. It is an intra-epidermal peel that removes the inner layers of the skin. The process is adapted to the nature of the situation to be corrected. Conditions such as wrinkles, acne scars, Actinic keratoses and blemishes are treated with MicroLaserPeel. It is ideal for dealing with the effects of Photo-aging. How MicroLaserPeel differs from Microdermabrasion? Microdermabrasion removes only keratin (outer layer of skin-thickness 10 μm). MicroLaserPeel is a partial to full skin peeling (10-50 μm) made by local anesthesia. It is the ideal step between Microdermabration and deep skin resurfacing. 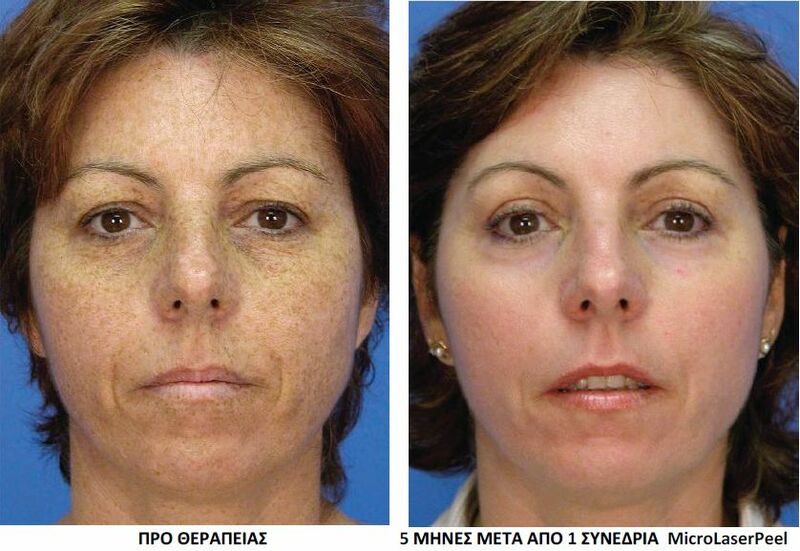 How many MicroLaserPeel can be done? Typically, the procedure can be done 2-4 times, with an interval of 6-8 weeks or whenever the patient needs it. What should I expect from MicroLaserPeel? The healing of the skin requires 3-4 days. MicroLaserPeel can be done Thursday or Friday to get back to work the next Monday. The redness of the skin will be gone on the third day and will easily be covered with a make-up on the 4th day. 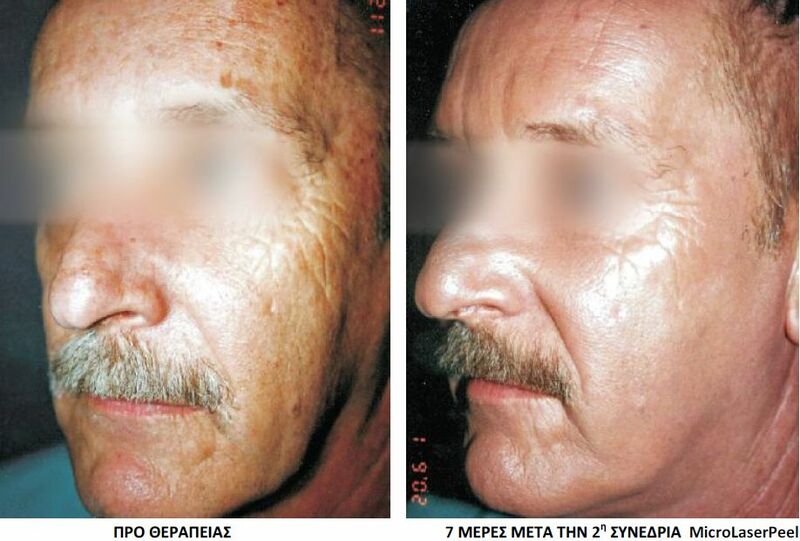 NanoLaserPeel is a variation of MicroLaserPeel (“weekend peeling”). NanoLaserPeel is done without anesthesia and recovery time practically does not pass the next 24 hours a day. You can see true improvement in your skin appearance just days after the session. Multiple NanoLaserPeel sessions or the implementation of a standard MicroLaserPeel is needed to tackle serious problems such as significant photoaging of the skin. At the S.T.A.R. session, patients achieve skin tightening and improve the texture and appearance of the skin at the same session. From the initials of S.T.A.R therapy, it seems that we are talking about a process of simultaneous tightening and invasive skin regeneration with Laser, that is, talking about a total retreatment of skin collagen surface and deeper that affects all its layers. Initially, Skin Tightening is the first step in the treatment, ie skin tightening of the inner layers of the skin. Then the second stage of treatment is the MicroLaserPeel (MLP). The patients comment that their skin feels smoother and tighter after just one session. So STAR treatment is a healing process of total skin regeneration, impressively safe with minimal healing time.